The Telangana state government will build schools for minorities in the slums of Hyderabad. HYDERABAD: The Telangana state government will build schools for minorities in the slums of Hyderabad. Deputy chief minister Md Mahmood Ali has said that government lands in slums or near them will be used to build schools for minorities. Eeducated unemployed Muslim youth will be appointed as teachers, he said. 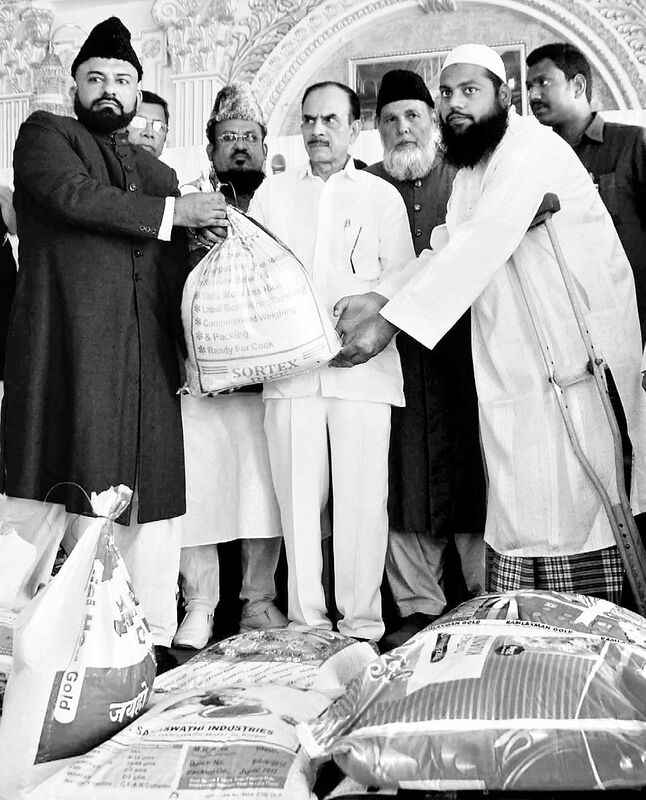 Mahmood Ali on Sunday distributed Ramzan relief provided by Sahayata Trust to the poor Muslim families at an event at Khaja Mansion, Masab Tank. After learning that still many families in the old city did not have have ration and Aadhar cards, he requested the Sahayta Trust to conduct a survey to identify such families. Empowerment of Muslims is one of the main agendas of the new government and free education from LKG to PG will be provided to minorities and special self-employment schemes will be launched for Muslim women and educated youth, he added. Mahmood Ali criticised the previous Andhra Pradesh government for spending only Rs 4 crore out of Rs 127 crore fund on the welfare of minorities. He assured that the TRS led government would allot more funds for the welfare of minorities in the coming budget. As Chief Minister K. Chnadrashekar Rao has already promised, the government will provide land for houses and give financial support, he said. Nampally MLA Jaffar Hussain appealed to all the Muslims in the state to send their children to schools. He said that any programme that intends to work the welfare of Muslims is welcome and the state government is always ready to support the good cause.